Philosophy and Boxing – a match made in heaven? The sport of boxing is known as the ‘noble art’ and has long seduced some of modern time’s greatest writers and philosophical thinkers – Ernest Hemingway, TS Eliot and Norman Mailer, to name but a few. The sport’s ethos and pathos seemingly providing the perfect metaphors for life – overcoming adversity, fulfilling one’s potential and rising to the top. It seems fitting then that on the creaking boards of an old church hall in Leytonstone the charity Box4Life is carrying on this proud tradition by delivering an education programme that uniquely combines boxing with Philosophy for Children (P4C) as a way of improving young people’s English writing skills. It has been launched thanks to sporteducate; developed by the charity Sported in partnership with Deutsche Bank’s Born to Be youth engagement programme, which uses sport for development to overcome the obstacles young people from disadvantaged backgrounds face. Boxing and philosophy might seem like unlikely bedfellows, especially for young people more familiar with the surrounding streets of Waltham Forest, but this holistic approach traces its roots back to ancient Greece and the Olympic ideal of ‘a healthy mind in a healthy body’. 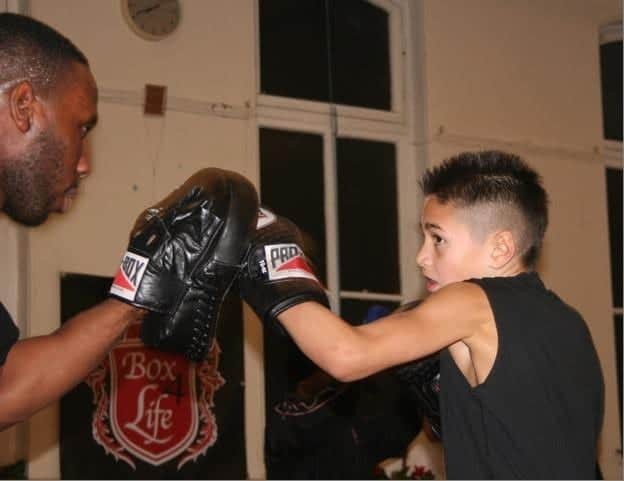 Mark’s vision for Box4Life to be “more than just a boxing club” was shaped by his own childhood experiences. Having been bullied and struggled academically at school, he was given a helping hand by a local neighbour who helped him with his Maths and English in her kitchen. It is this same supplementary educational support – delivered in an equally safe, trusted and family atmosphere – which Mark and Peter want to foster at Box4Life. “If a child is falling behind at school, I want them to be able to come to Box4Life and the get the help they need to catch up with the rest of the class” says Mark. Sporteducate’s approach of combining sport with educational activities is already paying dividends. “P4C helped me think more for myself and improved my speaking a lot”, says 11-year old Jagvir. Indeed, research from Sported’s impact measurement tool Sportworks indicates that Box4Life’s work has saved society over £150,000 on an annual budget below £30,000. Next PostWhere next for Super League after World Club Drubbing?